Open Door Family Medical Centers, based in Westchester County, will be partnering with The Baby Box Company, the first FQHC in New York State to do so, to reduce infant mortality rates. The Whitney Young Jr. Health Centers, which cared for almost 20,000 patients in 2016 between its health care centers in Albany, Watervliet and Troy in New York's capital region, are a regional network of health care services named in honor of the 1960s civil rights leader, Whitney M. Young Jr., who served as director of the National Urban League for a decade until he died in 1971. 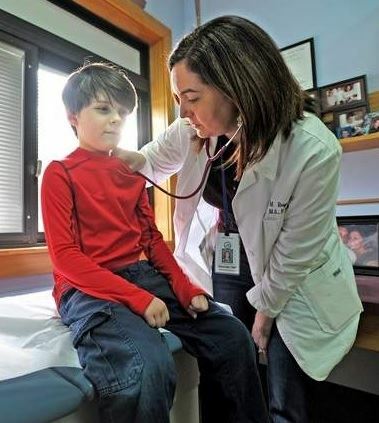 For School-Based Health Care Awareness Month, North Country Family Health is hosting a series of open houses at each of its public school locations through the first three weeks of February. North Country Family Health operates six such clinics in Watertown, Mannsville and Adams Center. Syracuse Schools are helping immigrant families to learn about health services available in eight sbhcs in the district. Sixteen percent of all students were ELL in 2016. Dr. Carlene Lacy, the director of special programs and outreach for the Syracuse Community Health Center, said that meetings like the one offered by Parent University ensure every child gets necessary health services. "Providing access is probably the most critical thing we can do," Lacy said. "It's that notion of whether you go to a person, versus expecting a person to always come to you." At a recent Jamestown Board of Education meeting, the board heard the second of a three-part presentation on transgender students.Tim Mains, out-going superintendent, and Deb Pietrowski, JHS School-Based Health Center nurse practitioner, gave the presentation.